Plastic bottles collected to be recycled in a facility. Our planet is slipping away from our hands. The threat of global warming, which first made headlines in the second half of the 20th century, has now become one of the biggest problems that humanity is facing in the 21st century. According to the 5th Evaluation Report by the Intergovernmental Panel on Climate Change (IPCC), the temperature has been rising rapidly for the last 30 years and the carbon monoxide levels globally that accumulate in the atmosphere have increased by 40 percent compared to the times before industrialization. However, we have not yet pass the irreversible threshold, which means we still have time to make things right with our planet. In recent years, individuals as well as larger institutions have become more aware of the danger we have put planet Earth in through our consumption habits. Factories and larger companies, on the other hand, have begun to take measures that will help them make the most of the material they have and recycle the leftovers to leave a habitable planet. Remedies that can slow down and prevent environmental deterioration can only be implemented through technology. IFAT Eurasia, Eurasia's leading trade fair for environmental technologies, will open its doors for the third time on March 28-30, 2019 at the Istanbul Expo Center (IFM) to draw attention to the threat that our planet is facing and offer solutions for city managers as well as companies and factories that produce waste. Speaking to Daily Sabah, IFAT Eurasia Project Director Namık Sarıgöl said environmental pollution has become a problem that people cannot ignore any longer. "The population increases as well as the population of the urban areas. This increase leads to rise in consumption. A recent study shows that 80 percent of the products we consume turns into waste just in six months. This is why environmental technologies are important," he explained. Sarıgöl highlighted that the aim of the fair is to recognize the existence of waste and encourage using less, recycling and turning the waste into raw material. The environment technologies sector aims to create a sustainable world without making any concessions in production, consumption and social welfare. It has to state this message clearly to the whole world. Hence, the environmental technologies fair by IFAT kicked off with the exhibition in Munich in 1966 and over the years spread through the world. Being the gateway to Asia and Europe, Turkey has been hosting the fair since 2015. Organized every other year, IFAT Eurasia 2019 will host companies that offer environmental and waste solutions from nearly 20 countries including, Germany, Sweden, Ukraine, India, South Korea and Brazil. Regulations, implementation and investment in environmental technologies, which especially increased after the opening of the environment chapter and were initiated within the scope of European Union discussions after December 2009, have helped to increase the standing of Turkey in world rankings. 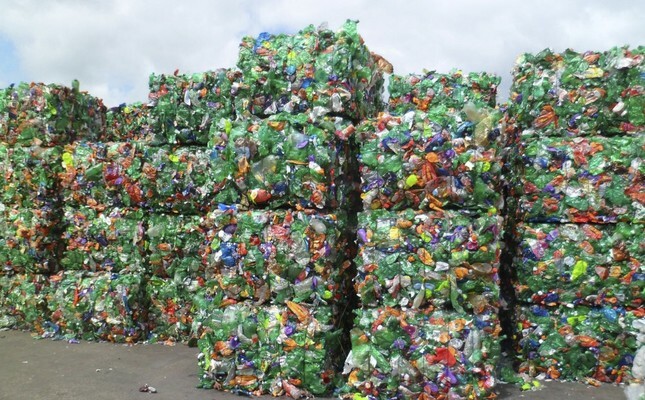 Turkey is targeting exports of $500 billion in its environmental development and recycling projections for 2023. It will have a much greater need for the use of environmental technologies due to the renewal of existing industrial facilities, capacity increases and the opening of new facilities. Hence, as Sarıgöl put it, IFAT Eurasia will also host a great number of Turkish companies and municipalities aiming to manage waste and save our planet from a devastating destiny.